Bryce is a collection of giant natural amphitheaters carved by freeze-thaw cycles. 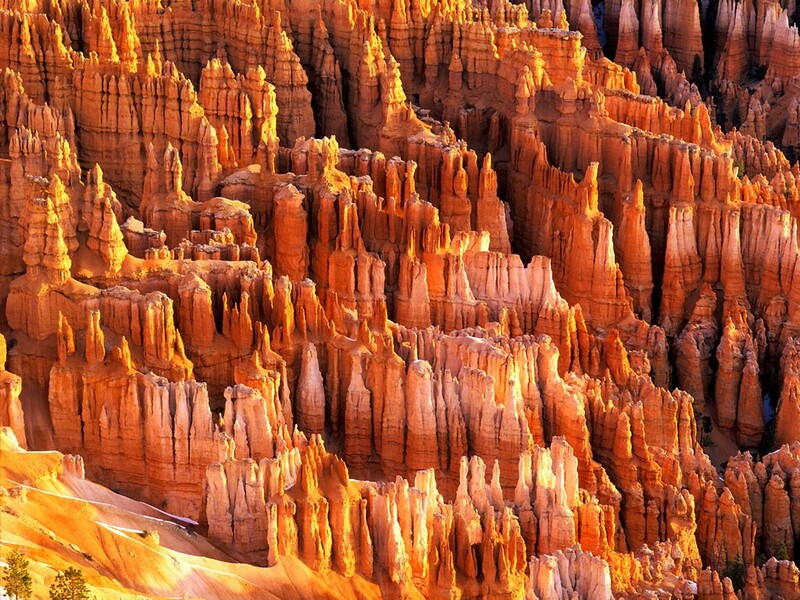 The result is spectacular red, orange, and white colored rocks called “Hoodoos”. 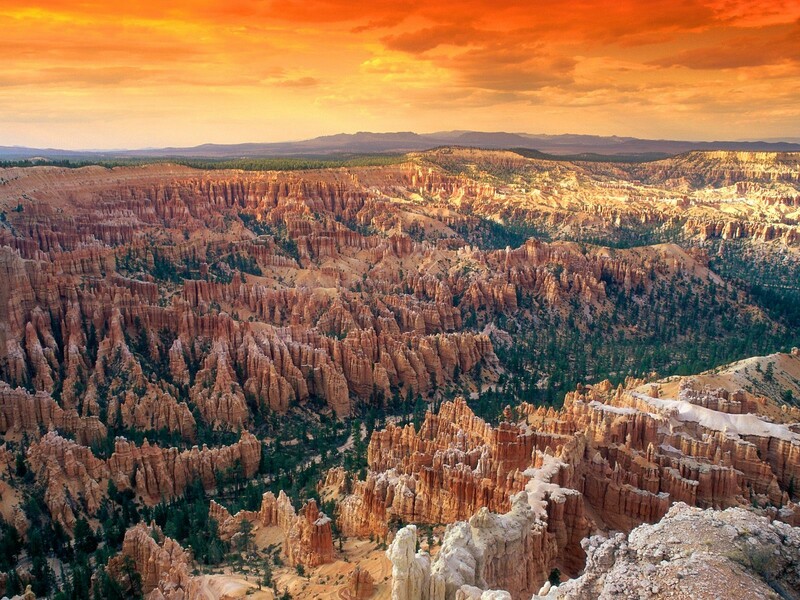 The rim at Bryce varies from 8,000 to 9,000 feet (2,400 to 2,700 m). 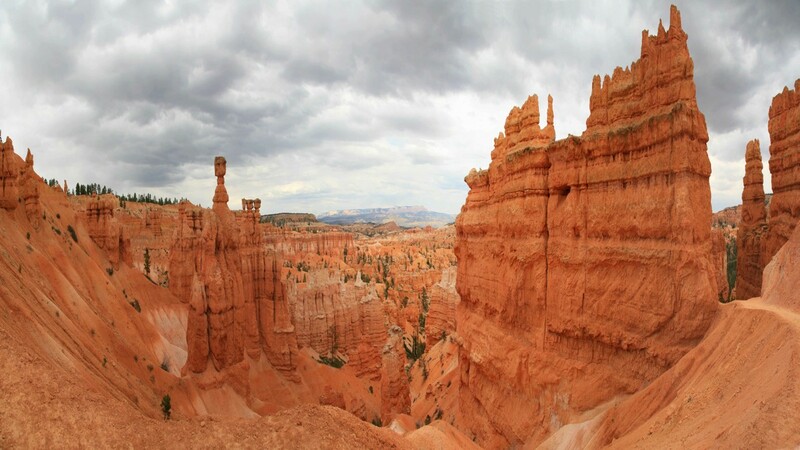 Acoustic studies have found that the natural silence in Bryce equals the quality of that found in a sound studio. The sky is so dark and clear here that the Andromeda galaxy can be seen with the naked eye!